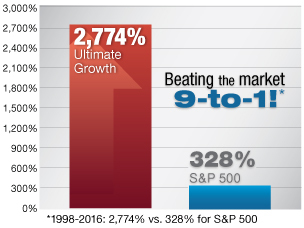 Start Beating the Market with Louis Navellier Today! 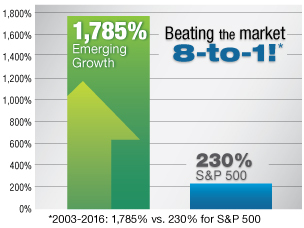 In Growth Investor, we focus on today's best mid- to large-cap stocks from a variety of sectors. The Buy List contains specific Buy Below prices and is always sorted into 3 categories of portfolio risk–Conservative, Moderately Aggressive or Aggressive–so you can buy according to your personal risk tolerance. In Breakthrough Stocks we focus on today's best small- to mid-cap stocks from a variety of sectors. The Buy List contains specific Buy Below prices and is always sorted into 3 categories of portfolio risk–Conservative, Moderately Aggressive or Aggressive–so you can buy according to your personal risk tolerance. The Accelerated Profits Buy List consists of today's highest-rated stocks. These are elite stocks with extraordinary fundamentals and high quantitative scores. These stocks are more aggressive by their very nature, which is why we trade frequently to lock in gains in the "sweet spot" of a stock's rise and fall. 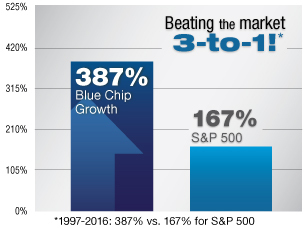 The Platinum Growth Club is a TOTAL WEALTH system that combines the market beating advantages of my Blue Chip Growth and Emerging Growth stock advisories with my market thrashing Ultimate Growth trading service—all in a powerful new way that could improve your results 10-fold or better.